On Thursday, Apple officially announced MobileMe support for its newest device, and it operates almost identically to its smaller iPhone cousin (and no, this isn’t an excuse to bring up the “it’s just a big iPhone!” chant). The iPad supports syncing for e-mail, contacts, calendars, and Safari bookmarks, “no docking required,” and supports both iCal/Address Book and Microsoft Outlook combinations. An unsurprising yet interesting addition to the iPad package is “Find My iPad,” previously only available for the iPhone. 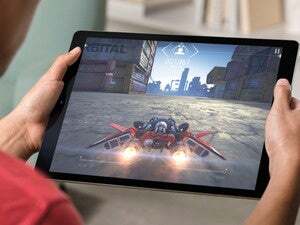 According to Apple, this can be used whether your iPad is 3G-enabled or Wi-Fi only, though it will only find the latter “when it’s connected to a wireless network.” You can also remotely wipe your iPad, though notably there’s no mention of how this service will work on a Wi-Fi-only iPad. If your iPad is stolen, do the burglars merely have to keep it out of Wi-Fi range to retrieve your precious information? I’ll admit it: I like MobileMe. The Find My iPhone feature has replaced my roommate’s cellphone as the easiest way to locate my forlorn device, and the Gallery serves as a great private client portfolio. However, I’ll also admit that I am probably in the minority—too many people still don’t understand how the service can benefit them, and others shirk at the price tag and lack of features. That being said, it should come as no surprise that Apple would want to incorporate MobileMe into the iPad. MobileMe offers a 60-day free trial on its website, and you can also get $30 off your initial $100 MobileMe subscription when you buy the membership with an iPad (or most other Apple devices).